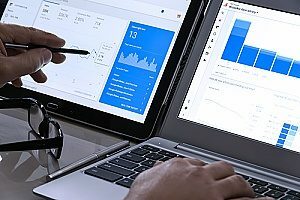 Search engine optimization and search engine marketing may sound like similar marketing strategies , but the two refer to distinct digital marketing techniques, each with its own pros and cons. As a dental professional, you may be unaware of how search engine marketing for dentists is a viable strategy for your digital marketing campaign, regardless of some of its drawbacks. While it comes with some challenges, SEM is an effective dental marketing strategy for practices, providing the added benefits of boosted web traffic that will increase your client directory, and higher rankings on Google that will set you apart from competing dental practices that lack a robust SEM strategy. SEO and SEM are both effective at increasing dental practices’ web traffic. An SEM strategy is distinct from SEO by the way keywords are utilized. Dentists can benefit from SEM by purchasing keywords used to advertise their services at the top of a search engine results page. This can also be known as a PPC (pay-per-click), CPC (cost-per-click), and CPM (cost-per-thousand-impressions) strategy. Each time a user clicks on your dental practice’s link to your website, you pay a fee for the advertisement. SEM works well for dental practices by providing them with immediate visibility to their audience of potential patients. SEO differs, however, by the way keywords are used in the content of a website. Search engines will identify the keywords that a user types into Google, displaying them organically on search engine results pages without the added help of an associated fee for advertising. An SEO dental strategy is more tailored to a practice that wants to gain leads without an added expense tied to the dental keywords potential patients are searching for. SEO requires an extended time period to grow your website and audience, but still produces dividends. Search engine marketing is an efficient and affordable dental marketing option. Because SEM ads are often created right in Google, the ads begin to appear to alongside relevant search results almost immediately. Traffic can therefore begin increasing right away. Search engine optimization can be slow in comparison, as it takes time for search engines to index web pages. SEM is ideal for dental practices wishing to see a bump in their traffic and client conversion immediately. SEM ads can also be easily targeted to specific audiences. They can be customized with specific keywords and shown only to web users with specific demographics and interests, which helps ensure that your ads will appear in front of the most interested and relevant groups of people. They will be more likely to be interested in your services than people fit different criteria, which will help increase client conversion rates. The Google AdWords icon is extremely useful with search engine marketing for dentists.Search engine marketing for dentists is also affordable. While some people may be wary of the pay-per-click marketing, Google allows users to set a daily budget, which helps prevent overspending. The rates for keywords are also rather inexpensive. While the most popular keywords can cost more, they are not always suited to every dental practice’s needs, and it is possible to obtain strong results while bidding for less-popular but still useful keywords. Search engine marketing provides dental practices with a large amount of data that can be used to improve future marketing efforts. This form of marketing can track the number of clicks an ad receives, as well as the time of day it was clicked, the popularity of the keywords used, and more. SEM data helps marketing agencies better understand what a client’s audience is looking for and how these web users locate the information they seek. The data also helps refine marketing plans, tailoring their campaigns specifically to this audience and helping dental practices save money on their marketing efforts. Like any marketing strategy, SEM can have its drawbacks. Even with proper budgeting, SEM may become expensive. Your practice is charged for every click, whether it’s accidental or from a casual browser who has no intention of signing up as a patient. This can make lead conversion difficult, and it may be disheartening to see large amounts of traffic with no matching increase in conversion. Additionally, the price of keywords can unexpectedly increase if two practices start a bidding war for the same keywords, potentially increasing your costs to stay relevant. Search engine marketing for dentists also requires careful implementation, which may not be quick of a process. Not only does it require proper research, like SEO, it also requires constant testing. Many dental marketing agencies will run two ads at the same time, then determine which performs better and use that as the basis for future marketing efforts. While testing is a smart way to ensure that an SEM campaign is as successful as possible, the constant maintenance and monitoring can take up a significant amount of time for practices doing their own marketing. An additional drawback is the potential for consumers to ignore your advertisements. Many people have become adept at simply tuning all advertisements out. SEM can therefore be less effective than SEO for your audience of prospective patients that are used to tuning out every advertised company on the Google search engine results page. 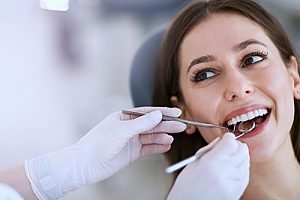 A search engine marketing strategy for dentists may be less effective if their audience is unwilling to engage with ads. Speak to a dental marketing agency for more information and to schedule your free consultation regarding search engine marketing for dentists. 321 Web Marketing creates customized SEM plans for its clients by evaluating their competition, service offerings, ideal client base, current marketing efforts, and more. These plans are designed to help clients achieve a steady stream of qualified leads within six months. 321 Web Marketing monitors the results of each marketing plan, making changes as necessary to attract the right clients and increase conversion rates.